One offseason goal of the St. Louis Cardinals is been to shore up the bullpen for 2018. The club made a move in this direction by signing former Cardinals draftee Luke Gregerson to a two-year, $11 million contract, announced on Sunday. 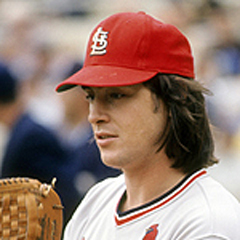 The right handed pitcher was the Cards’ 28th round draft pick in 2006. Gregerson never made it out of the minor leagues while a Cardinal, as he was traded to the San Diego Padres in 2009 for shortstop Kahlil Greene. Gregerson spent the first five seasons of his nine-year MLB career with the Padres before being traded to Oakland in 2013. After one season in Oakland, the right hander was signed in December 2014 as a free agent by the Houston Astros, for whom he played through the 2017 season. The 33-year old reliever posted a 4.57 ERA with the Astros in 2017, in 61 innings pitched. Gregerson has a career ERA of 3.02 and a lifetime 9.1 K/9 innings rate. It is expected that the addition of Gregerson is just one of several to the bullpen planned by the Cardinals for 2018. Gregerson follows the signing earlier this week of right hander Miles Mikolas to a two-year contract. Mikolas has spent the past several seasons pitching in Japan, and previously pitched for the Rangers and the Padres in MLB. The right-hander, 33, posted a 2.18 ERA over three seasons with the Yomiuri Giants. 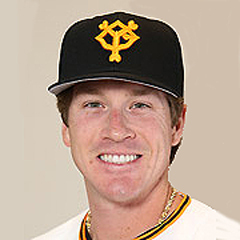 Mikolas was drafted by the Padres in 2009 and made his major league debut with that club in 2012. He features a low 90s fastball, slider and curveball and is slated to compete for one of the five starting rotation spots in Spring Training. The Cardinals announced a number of front office promotions and hires this past week. At the top of the list is the promotion of Luis Morales to the post of Director of International Operations and Administration. Additionally, Matt Slater has been named Special Assistant to the GM, with Slater’s focus continuing to be player procurement. Other promotions include Matt Bayer as Manager of Scouting and Athletics, Tyler Hadzinsky as Amateur Scouting Coordinator/Analyst, and Emily Wiebe as Baseball Operations Analyst. Changes to the amateur scouting department were also announced. The changes include four new area scouts in Stacey Pettis, Jim Negrych, Chris Rodriguez, and Alix Martinez, as well as promotions for crosscheckers Sean Moran, Zach Mortimer, and Joe Almaraz. A Latin American crosschecker will be Damaso Espino. 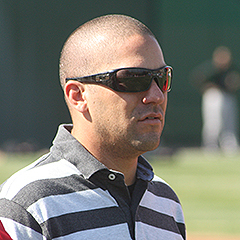 The Cardinals hired Jose Leger to the post of Latin American field and academy development coordinator and Jose Gonzalez was promoted to scouting supervisor for Venezuela. The Modern Era balloting for the National Baseball Hall of Fame was announced on Sunday. Of the ten nominees – Steve Garvey, Tommy John, Don Mattingly, Marvin Miller, Jack Morris, Dale Murphy, Dave Parker, Luis Tiant, Alan Trammell and former Cardinals catcher Ted Simmons – only Morris and Trammell were selected. In the vote of the 16-member Modern Baseball Era Committee, 75 percent of the ballots cast were needed. Simmons secured 11 votes, just one short. The two winners will be inducted into the Hall in Cooperstown on July 29, 2018. The 2018 Cardinals Winter Warm-Up is scheduled for January 13-15, and autograph tickets will be going on sale beginning at noon CT, on Monday, December 11. Prices for tickets range from $5 to $150, depending on the player, and the team is expects more than 60 players, coaches and alumni to attend. Tickets for Yadier Molina are priced the highest, at $150. Tickets that are $50 or higher include Adam Wainwright, Whitey Herzog, Tony La Russa, Matt Carpenter, Carlos Martinez, Tommy Pham, Stephen Piscotty, Alex Reyes, and Michael Wacha. A list of autograph prices and signing times can be found at www.cardinals.com/WWU . Fans can purchase up to three tickets (except for Molina), and the tickets will remain available until January 11, subject to sell out. Remaining tickets may be purchased at the event. In other offseason news, the ground breaking for the Ballpark Village expansion will take place on Thursday. Also announced was the availability for sale of a limited number of seats recently removed from Busch Stadium III. Fifty pairs of premium stadium seats will be available for sale for $750. A total of 250 standard seats will be for sale for $500. For more information, see www.cardinals.com/seats . The Winter Meetings have started and the Hot Stove is heating up. Following the rejection by Giancarlo Stanton of an agreed-to trade to the Cardinals from Miami, the team has set its sights elsewhere. There have been rumors all along that the Redbirds have interest in two other Marlins outfielders, Marcell Ozuna and Christian Yelich. Bob Nightengale reports, somewhat hyperbolically, that the Cardinals “badly desire” Ozuna. The Cardinals do have interest in Ozuna, as has been reported by Post-Dispatch reporter Derrick Goold. Interest in Yelich has also been rumored from several sources. Goold reports the Cardinals have interest in free agent relievers Addison Reed and Brandon Morrow. Goold’s article was written before it was announced that the Cubs have signed Morrow, taking him off the table. Nick Cafardo of the Boston Globe reports that the Cardinals have interest in White Sox first baseman Jose Abreu. The Oakland A’s are rumored to have continued interest in acquiring Cardinals outfielder Stephen Piscotty. 12/5 The Cardinals sign free agent RHP Miles Mikolas. 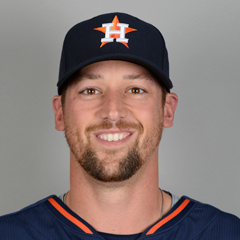 12/10 The Cardinals sign free agent RHP Luke Gregerson. The Winter Meetings have begun in Orlando, Florida. The Meetings run through Thursday, and the Rule 5 draft will occur on that last morning. The Cardinals annual Winter Warm-Up is scheduled for January 13-15 in St. Louis at the Hyatt Regency Hotel. The annual BBWAA dinner is scheduled for Sunday the 14th at the Union Station Hotel in downtown St. Louis. Tickets for the Winter Warm-Up are on sale now either online at Cardinals.com or at the Busch Stadium Box Office. Admission tickets are $40 for the three-day event. January brings arbitration season. The deadline for teams and arbitration eligible players to submit salary figures is January 13. Any arbitration hearings will be scheduled during the first several weeks of February. Eligible Cardinals are Michael Wacha, Tyler Lyons and Randal Grichuk. This week’s blast from the past features the St. Louis Cardinals squad from 1924. The 1920s featured one World Series Championship for the Cardinals, which came two years later in 1926. The 1924 season was the franchise’s 43rd year. The 1924 Cardinals finished 65-89, which placed them sixth of the eight teams in the National League. The club’s manager was Branch Rickey. Rickey was fired by owner Sam Breadon in early 1925, but was asked by Breadon to stay on to run the front office. Rickey’s title was Business Manager, which was the forerunner of the modern General Manager. The Opening Day lineup was Max Flack (RF), Jack Smith (LF), Rogers Hornsby (2B), Jim Bottomley (1B), Howard Freiqua (3B), Heinie Mueller (CF), Les Bell (SS), Ernie Vick (C), and Johnny Stuart (P). The longest losing streak was seven games, from June 14-21. The longest winning streak was also seven games, from July 16-20. That streak included three doubleheaders. The widest winning margin was a 17-0 defeat of the Brooklyn Dodgers in the second game of an August 24th doubleheader. The worst loss was a 14-1 drubbing by the Pittsburgh Pirates on September 3. Home/Road splits were 40-37 at home and 25-52 on the road. The top starting pitcher was Leo Dickerman, with a record of 7-4 and an ERA of 2.41. The best offensive performance came from Hornsby, who batted .424, with 25 home runs and 94 RBI. 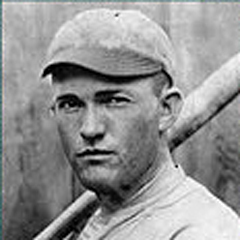 Hornsby’s .424 batting average made him the National League batting champion for 1924. That batting average remains the NL record for average in a single season.